A friend sent me an article yesterday, “9 Words that Tap Into the Psychology of Giving.” You can find it here. Offered as advice to nonprofits on how they can induce a higher rate of giving, the essential thrust was that organizations should connect with their donors. To do this, the article suggested, certain adjectives should be mixed into the message. For example, the author, Liz Chung, cites an expert’s suggestion that the words kind, caring, compassionate, helpful, friendly, fair, hard-working, generous, and honest are adjectives that Americans use to describe a moral person. The key here is the supposition that these describe the way most donors, particularly women, would like to see themselves, so appealing to them on this basis should make them more likely to give and to give more. For men, meanwhile, the recommendation was to utilize words like strong, responsible, and loyal. In many way, this is a basic marketing technique, as when commercial advertisers promote their products in a setting intended to appeal to the values and self-image of their targeted demographic. Whether the hint of luxury and the good life, the warm bonds of family, or the edgy vibe of being in on the newest thing, all successful advertisers employ this fundamental strategy to get our attention, hold us through their message, make us feel good about the product, and try to foster a connection between what they’re selling and our ideal image of ourselves. There is nothing necessarily wrong with this, and there is no real reason why nonprofits shouldn’t employ it. Nonprofit appeals generally operate upon either an emotional or intellectual basis. Aside from appeals to the donor’s self-image, among the most powerful emotional draws are sympathy and empathy, guilt, gratitude, a sense of obligation, a positive connection and commitment to the goals of an organization, outrage/anger, and a sense of justice. Among the intellectual appeals are solid proof of a need, a valid connection to a broader set of values, and evidence of performance. For most of us, the former are far more common and work with far greater immediacy. Thinking, unfortunately, takes time. Analyzing evidence of organizational performance (assuming one can find it) also takes time. From the perspective of the nonprofit seeking our investment in what it is doing, rather than basing an appeal upon data that might be misinterpreted or glossed over, it is far more expedient to describe or show us images of a problem –flood victims, Chihuahuas with adenoid issues, or the famously endangered Yaw-Yaw tree- and rely upon our emotions to do the rest. The article my friend sent me merely suggested adding flattery to the arsenal of tools a nonprofit might use, sort of like sprinkling a dash of magic dust on top to give the request just an added bit of appeal. Now, I want to restate: there is nothing wrong with a nonprofit’s making its appeal as “appealing” as it can…and maybe appealing to a donor’s self-image isn’t entirely a bad thing. But our sector already has far too many emotionally-based appeals. We get them in our email, as pop-ups on our phone and IPad, they arrive in the front porch mailbox, and litter our Facebook page. They come to us on our televisions; they’re on billboards, on the sides of buses, and now on the shopping carts we push through the grocery store. What we sadly don’t have, however, is a regular stream of performance evidence to match those emotional appeals. Most donors want to feel good about their investments in the nonprofits they support…and that is why emotional appeals work: they make us feel good about the fact that we’re doing something, putting our money where our mouths (and hearts) are. But if the sector really wanted to see an increase in support, wouldn’t it also make sense to demonstrate to the donor community that, aside from being on the side of the angels and being busy, our organizations were also making a real, measurable, and sustainable difference in the lives of those they exist to serve? Yes! Absolutely! If I’m donating to an organization, I want to know that the organization is making a difference, i.e. that the organization is accomplishing its mission. Photos of a child, a t-shirt, a window sticker, none of them answer the question of whether or not the organization is accomplishing its mission. A progress report, perhaps something like a corporate annual report, would be appropriate. Let the organization tell what it has accomplished, and let the investor (contributor) decide whether or not the outcome is worth the investment. 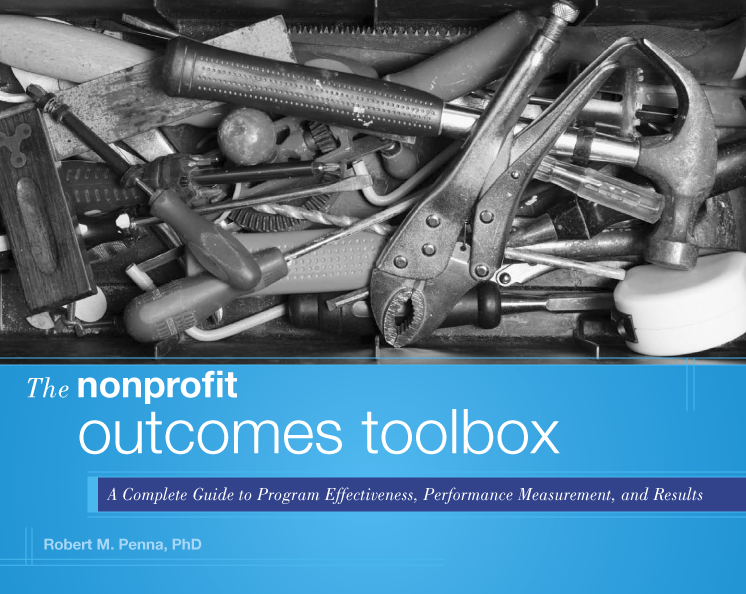 Many nonprofits do issue annual reports…but many of them are sales jobs, filled with activity accounts, often heavy on pictures from events, but little or no actual performance information. The essential problem is that too few actually measure performance.,..and that is what needs to change.